This November, Pittsburgh punks The Gotobeds will leave the warm comfort of their homes in Pittsburgh, PA to tour across North America and back again in support of their 2016 Sub Pop album, Blood // Sugar // Secs // Traffic. The Cold November Rain Tour begins on November 2nd in Chicago, IL, with stops in Little Rock, Los Angeles, Seattle, and several other cities, finally ending November 21st in Milwaukee, WI. (see listing below) For the first eight of these shows, The Gotobeds will be accompanied by their close, personal friends in the very good band called Protomartyr. 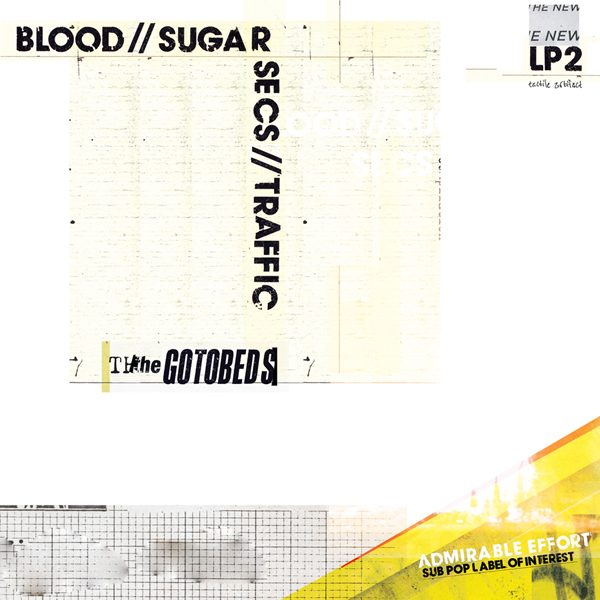 Blood // Sugar // Secs // Traffic features “Real Maths/Too Much,” “Brass Not Rash,” “Bodies,” “Cold Gold (LA’s Alright),” and several other arguably excellent songs you can (and should) hear in this FULL ALBUM STREAM, and is available now for purchase right here.